A couple of months ago I decided I was going to buy a new car, but there is almost nothing I like less than negotiating with car salespeople. The first thing they do is try to get your name and phone number. They will then begin calling you a day or two after you leave to ask how your search is going, and try to get you back to the dealership. If you do go back to the dealership, the second trip is when the hard selling starts. The guy you already know is the “nice guy,” who’s going to “work with his boss to get you a really good deal.” The boss is a guy who tries to belittle you and make you feel cheap for negotiating and passing on the upgrades. It’s basic psychological warfare, and they do it multiple times per day, so nothing throws them off. But for the buyer it just adds to the overall cost of buying a car. So for the third time I’ve skipped the dealer hassle and bought a new car through CarsDirect. I’ve researched other services, including autobytel and a very good program offered by Costco, but CarsDirect was better than anyone else on pricing. I’ve put my notes on the entire experience below, including research and test driving vehicles. My car buying experience was a three day process and involved almost no stress and a minimum amount of dealer direct contact. 3. Test drive the car. This is tricky, because you have to go to a dealer and interact with them. They are going to photocopy your drivers license before you test drive the car. If it has your correct address, tell them its dated and give them a different address. This is to avoid the junk mail they’ll be sending you. They are also going to ask for your phone number. Don’t say no, because that will make them act weird. Just give them a fake number. If you do give them your real phone number, make sure you tell them you’ve already bought a different brand car from somewhere else and are no longer in the market. Do not invite further conversation. Be firm with these people. Remember – all you want to accomplish is a test drive of the car, so don’t deal with their guilt trips and other tricks. Never, under any circumstances, sit down at a desk. 4. Once you know which car you want, all the hard work is done. You can go home and order your car online, while other poor souls try to negotiate with the dealer. They’re hopeful that they’ll get a good deal because they’ve printed out the Dealer Invoice and MSRP for the car, but trust me, after hours of negotiating they are still not going to get as good a deal as you are. 5. Go to CarsDirect and order your car. The price you will pay is stated clearly on the final page. A CarsDirect customer care person will call you in an hour or two to discuss your order and make sure you know all of the options. CarsDirect will then work with a local dealer to find your car at their price, and call you back when they’ve found it. They will also discuss leasing, financing and trade in options if you want to do that. I’ve found their leasing and financing terms to be very attractive (better than what my bank offered), but trade in values are terrible. Sell your own car. 6. Choose to have your car delivered to your home or office. They will do this for free or for a small fee, depending on where you live. 7. When the car is delivered, test drive it, sign the agreements (make sure you opt out of receiving marketing deals from unaffiliated third parties), write a check. The delivery people then leave, and you have your car. If there is an issue, you deal directly with the dealer. Last Sunday I test drove the Honda Pilot, Chevy Tahoe, Ford Explorer and the Acura MDX. I liked the Tahoe the best, but it gets the worst gas mileage and was the most expensive car. The Pilot was almost $20,000 cheaper than the Tahoe and gets 5 miles more per gallon on average. Quick call to mom and dad confirmed it was also the most highly rated. Choice made. Total time spent: 3 hours, including lunch. 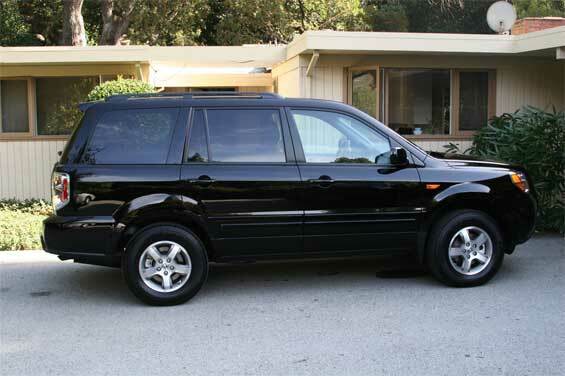 On Monday I placed an online order with CarsDirect for a Honda Pilot. Dealer Invoice was $32,507 (that’s what the dealer pays), and MSRP was $36,040 (the recommended price). Anything above the invoice price is profit for the dealer. The CarsDirect price was $33,306. That leaves $800 in profit for the dealer and CarsDirect to split. Seems fair to me. An hour after I placed the order I had a ten minute conversation with a CarsDirect rep named John. I confirmed I wanted the car, discussed the pros and cons of buying a black vehicle with him, and he promised to call back when he found the car. Twenty minutes later he called back and said he found the car with the options and colors I wanted. He asked when I wanted it and if I wanted it delivered. I said “tomorrow, and yes please deliver it to my house”. Total time spent: about 30 minutes. On Monday evening I called two local Honda dealers, told them I was going to buy through CarsDirect but would get it from them instead if they would match the price. Both said no. One laughed at me before saying no. On Tuesday afternoon the car was delivered to my house by two very nice retired men. I test drove the car, took a picture, signed the paperwork and wrote a check. They left. Total time spent: 30 minutes. Total time spent researching and buying a car: Four hours over a three day period. Total time spent negotiating: none. And I believe I got a better price than if I had tried negotiating with the dealers directly. And I love my new car.